Make-A-Wish did a lot more than fulfill Efrain Cuessy’s dream of having a chance to see Kaskade do his thing for his 18th birthday. Cuessy, a fan of Kaskade’s since the first time he heard “Atmosphere,” and when he was diagnosed with stage two Hodgkin’s lymphoma at the age of 17, his biggest desire was to have Kaskade soundtrack his big day. 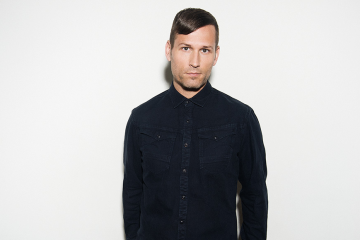 I was born 18 years ago, and since the age of 12, I started listening to Ryan Raddon (a.k.a @kaskade). I heard the song “Atmosphere” and immediately got hooked on his music. I kept listening and listening, wanting to see him more and more every time. Back in August, I was diagnosed with cancer and was given a Make-A-Wish. This was it. I wanted to see Kaskade. I turned 18, and Kaskade was coming to my birthday party. I was planning on doing a little set before he went on, but as I was 3 songs in, Ryan walks in. First off, I was fan girling. Second off, he went up to me and asked if I wanted to go a little B2B with him… hold up there. Did Kaskade just ask me if I wanted to go B2B with him?! Of course I said yes, how could I not? The party went on. We danced our hearts out and had the time of our lives. It became a legendary night. One that I won’t forget, and one that I hope Ryan and everyone in attendance doesn’t. Very few on this planet can say they’ve played back to back with such a high demand DJ. Not to mention it takes a lot of heart for someone of Kaskade’s caliber to surprise a fan like that. Check out the full post on Cuessy’s Instagram.